2017 marks the spot when we see the drought in VR industry, AR took the spotlight, VR arcade everywhere, Resident Evil 7, the very first standalone VR headsets from Oculus and HTC, unexpected achievements and announcement from giant techs. 2016 was all about the buzz and modest consumer uptake. Oculus, HTC Vive, PSVR — it was all released in 2016, and we all thought it would take off in 2017, but it never did. The beginning of 2017 was the worst drought in VR industry after its hype last year. Also, Q1 2017 marks the lowest quarterly number of financings and investment total in over a year. This was the moment when we started hearing, “VR is dead! VR will forever be a niche! VR won’t take off!” more than ever. 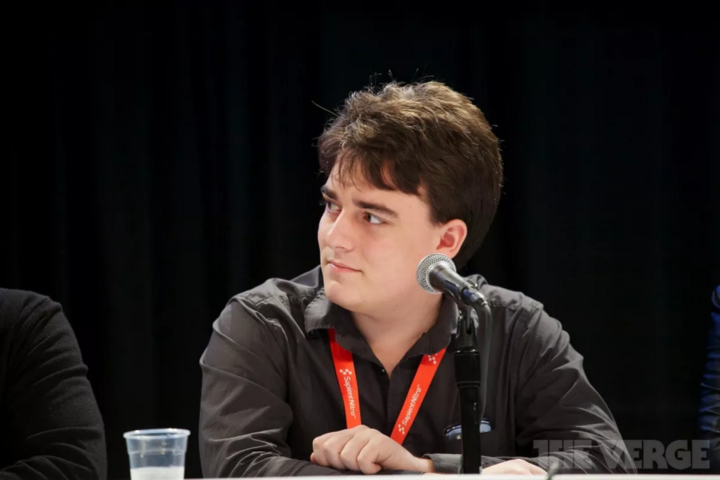 In 2014, Palmer Luckey sold his virtual reality company, Oculus, to Facebook for nearly $2 billion. Who thought that the co-founder Oculus himself would be leaving Facebook three years later? But that’s what happened in March 2017. And, we never know why. But we know all the news before his departure: He was caught as a backer of one conservative group that affected his reputation. Oculus sales have not hit expectations. Oculus was accused of stealing the technology, which made Facebook paid $500 million in legal costs. Still, nobody knows if it was him leaving or he was fired. Nobody knows why. 3. IMAX — the VR arcade. VR gaming is forecast to reach $45.09 billion in revenue by 2025, according to Grand View Research. Entrepreneurs are setting up VR arcades worldwide. So is IMAX, the world’s most immersive movie experience. As of February 2017, the first IMAX VR Experience Centre has officially opened in LA. The company has modeled IMAX VR like a movie theater, offering immersive experiences on the latest VR hardware through a pay-to-play model. 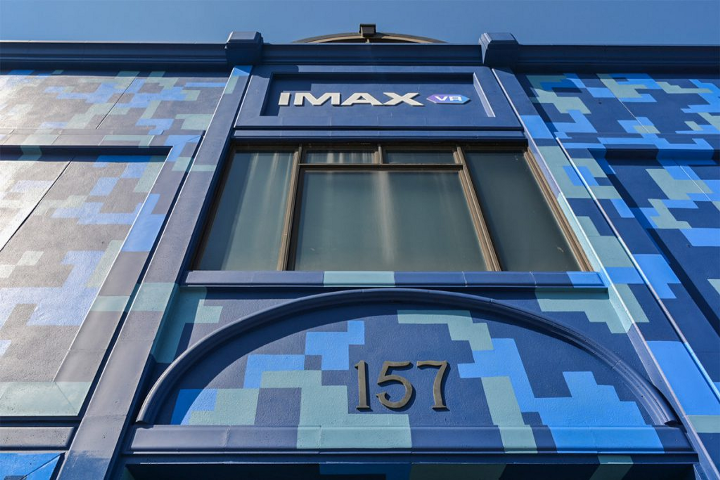 Since then, IMAX VR has opened its branches in several locations, such as Toronto, Manchester, Shanghai. The biggest potential of WebVR is that it’s only one click away. 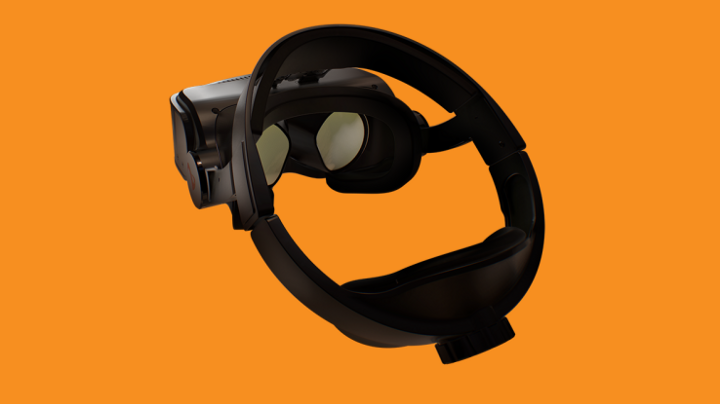 It allows VR users to traverse from one VR experience to the next without installing individual apps for each experience, using any kind of VR headset he or she owns. Hosted and run directly from the web, that means high accessibility and easy navigability. And, this is probably why Chrome and Firefox are launching WebVR support this year. Major industry players like Oculus, and Microsoft are on board with WebVR, and Chrome’s stable branch update now with WebVR built-in is a huge step for what these companies hope will one day become an official W3C web standard. 5. 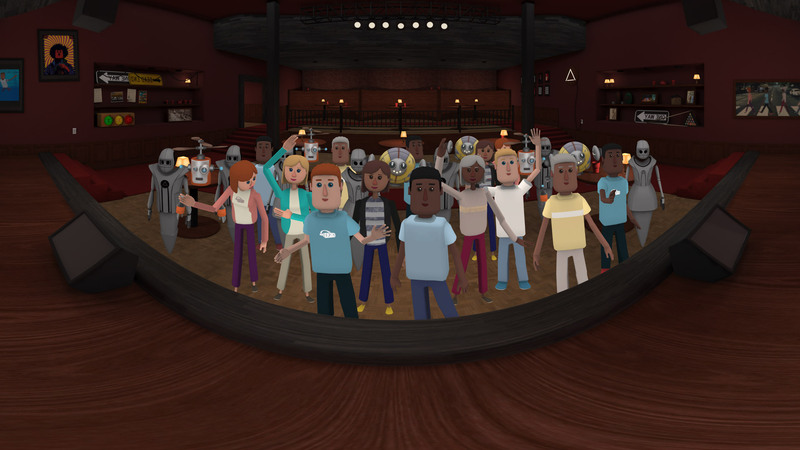 AltspaceVR, one of the first social VR platforms, was shutting down. On 3rd August, AltspaceVR, one of the first social VR platforms, announced on their blog that they were closing down the company. The company had run into financial difficulty and they couldn’t afford to keep the virtual lights on anymore. According to Crunchbase, AltspaceVR has raised nearly $16 million in venture funding over the course of its run. Thirty five thousands people used AltspaceVR each month, with users spending on average 35 minutes per day. Some large virtual events on the platform brought in thousands of attendees. As a venture-backed startup, AltspaceVR had a supportive group of investors that gave them money in 2015. It looked like they had a deal for the next round of funding, and it fell through. Some combination of this deal falling through and the general slowness of VR market growth made most of their investors reluctant to fund them further. They had been out fundraising but had run out of time and money. 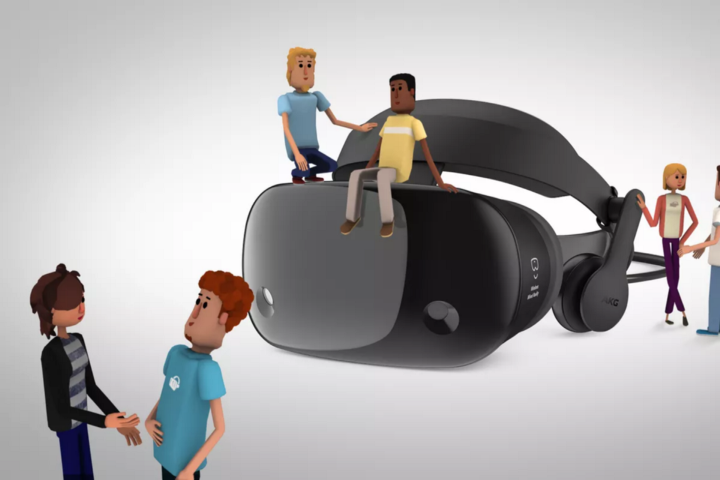 Just like a perfect happy ending story, Microsoft acquired AltspaceVR two months after AltspaceVR was shutting down. Microsoft is excited to incorporate communications technology into their mixed reality ecosystem. And, Microsoft is committed to being the best place in VR to hang out with a diverse community of people. From this acquirement, AltspaceVR will continue to work on PC and Mac in 2D mode, HTC Vive, Oculus Rift, Daydream by Google, and Samsung Gear VR. Intel has made the decision to wind down its Project Alloy reference design, however we will continue to invest in the development of technologies to power next-generation AR/VR experiences. This includes: Movidius for visual processing, Intel® RealSense™ depth sensing and six degrees of freedom (6DoF) solutions, and other enabling technologies including Intel® WiGig, Thunderbolt™, and Intel® Optane™. All of these Intel technology solutions are supported by a robust portfolio of software capabilities, and we’re building out a VR support ecosystem, from software design kits to reference designs, to spur innovation that’s enabling rich and immersive content. Project Alloy served as a great proof of concept for Intel and the industry — showing what’s possible in a high-performance, immersive and untethered VR experience. What we’ve learned through Project Alloy will inform future efforts. Intel mentioned that a lack of partner interest in the headset was one of the reasons why. 8. WorldSense, move naturally in VR. The spark started here. In May 2017, Google announced WorldSense, a new headset tracking technology which lets you move naturally in VR without installing any external sensors. Google works closely with Qualcomm to create a standalone headset reference design. 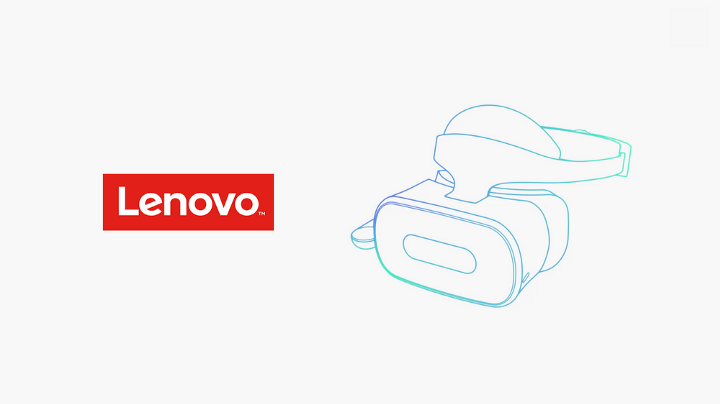 HTC VIVE and Lenovo are both working on devices. They said the first series of the VR headsets were coming later this year. Months later, it was known that HTC cancels the plan with Google. Starting September 19th, Apple brought AR to hundreds of millions of iPhones and iPads through iOS 11. The iOS 11 introduces ARKit, a new framework that allows you to easily create unparalleled augmented reality experiences for iPhone and iPad. By blending digital objects and information with the environment around you, ARKit takes apps beyond the screen, freeing them to interact with the real world in entirely new ways. 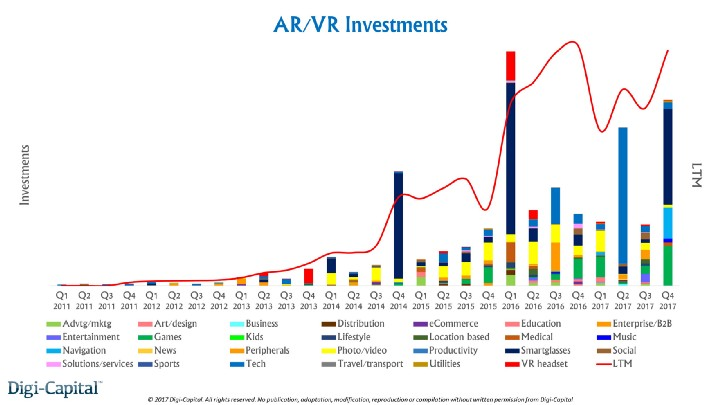 Since that day, AR takes the spotlight as VR did a year ago. And, people are having fun figuring out ARKit. 10. Microsoft launches Windows VR platform. 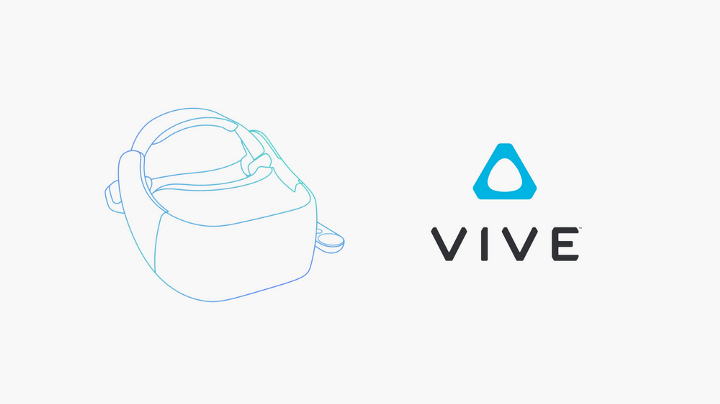 Last year Facebook released its Oculus Rift headset with a dedicated platform while HTC and Valve introduced the Vive, powered by SteamVR as an extension of the existing Steam service. 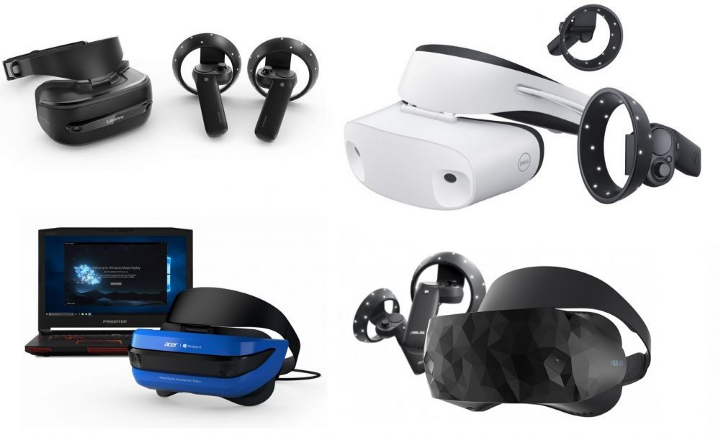 In 2017, Microsoft is launching its own platform, Windows Mixed Reality, that supports multiple headsets made by some of the most recognized electronics manufacturers in the world, such as Acer, Lenovo, Dell, and HP. Using inside-out tracking, the headsets are all launching at $399 and $499. 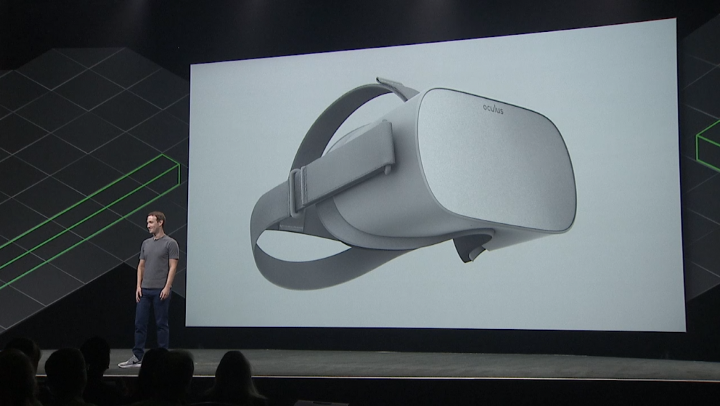 Onstage at Oculus Connect 4, Mark Zuckerberg unveiled a new mobile headset called “Oculus Go.” It’s compatible with a 3 degrees of freedom (3DOF) controller that looks similar to the device used with Oculus and Samsung’s Gear VR. The new website for Go includes a glimpse of a handful of apps and games that will be appearing on the platform. Big names like Netflix, The New York Times, and Dragon Front are all there. 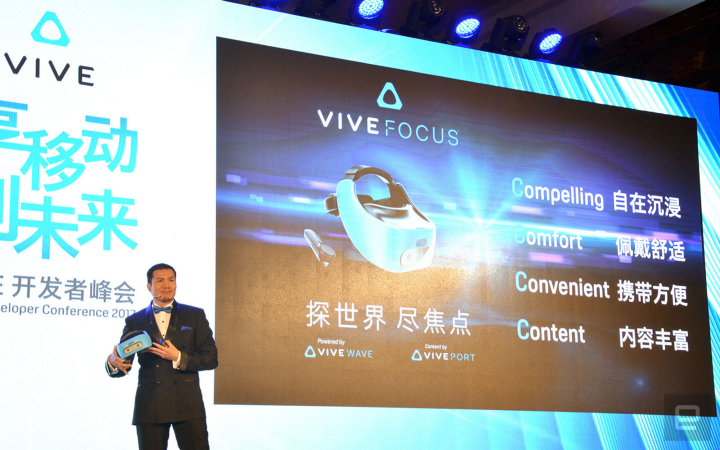 Unfortunately, Vive Focus is only available in China, for now. 2017 might start with a VR drought, however, things have changed quickly: Sony sold more than 2 million units. Microsoft launched Windows VR platform. Oculus and HTC Vive have never been giving up and now working on standalone VR headsets. And now, at least 9 VR titles have made more than $1 million in the Oculus store. 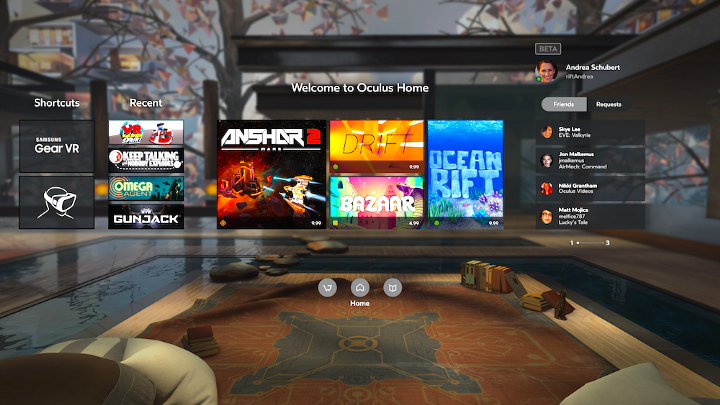 Now Oculus says its investments are starting to snowball into a growing ecosystem. In this fledgling ecosystem, bringing in $1 million in revenue from a VR title is a rarity, even for games available on both the Oculus Store and Steam. To hear that a handful of apps have generated as much from just the Oculus Store is sure to bolster developers’ spirits. 14. Sony’s PSVR has sold 2 million PSVR units. As of December 3rd, 2017, Sony announced they’ve sold more than 2 million units of PlayStation VR (PSVR) worldwide. Released in October 2016, PSVR has a total of 150 titles to its name. 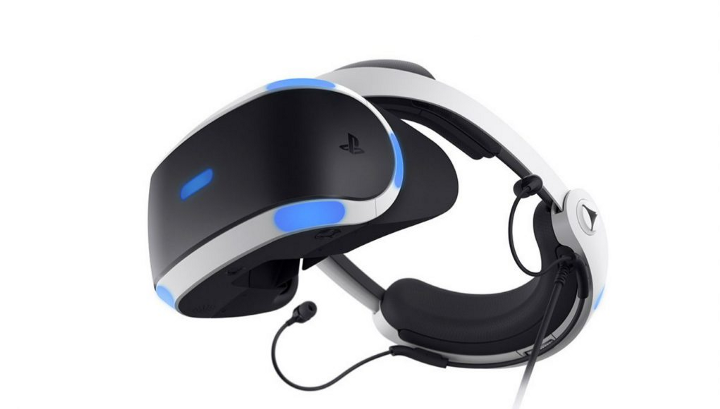 Sony also said that PSVR games achieved more than 12.2 million copies sold at retail stores globally and through digital downloads on PlayStation Store. With over two million units sold, Sony’s PSVR is thought to be the current leader in high-end VR, possibly topping Oculus Rift and HTC Vive sales. 15. Apple bought AR headset company Vrvana for $30 million. Vrvana has been little known as a maker of Totem headset, the highest FOV at the highest resolution AR headset. TechCrunch has learned that Apple has acquired Vrvana in December 2017. The deal was for around $30 million, two sources tell TechCrunch. Backed by giants including Google and Alibaba, Magic Leap has raised $2 billion before it even unveiled a hint of a product. It’s been one of the most hyped yet mysterious player in the industry. 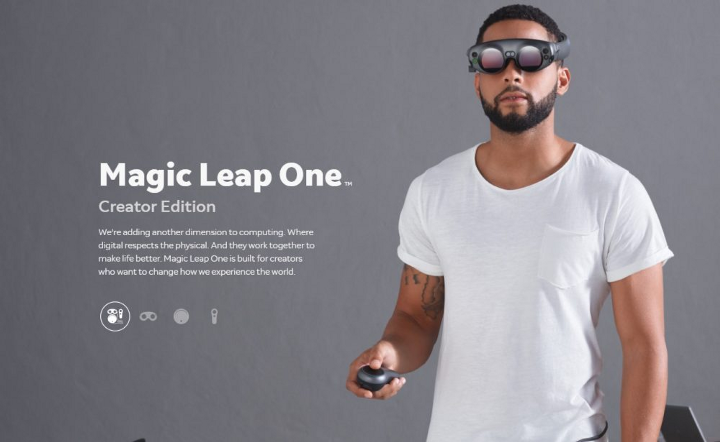 Finally, before the end of 2017, Magic Leap revealed their first product, Magic Leap One. 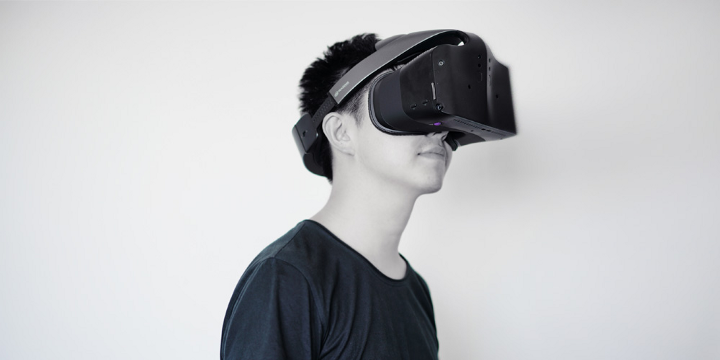 The product consists of three parts: the Lightwear (the headset), the Lightpack (the mobile computer), and the Control (a remote-like controller with a trackpad and six degrees of freedom (6DOF) tracking). The Magic Leap One Creator Edition is shipping next year and you can sign up over on the site to find out more. 2017 is the year when we started to hear, “VR is dead. VR is a fad. VR will forever be a niche. 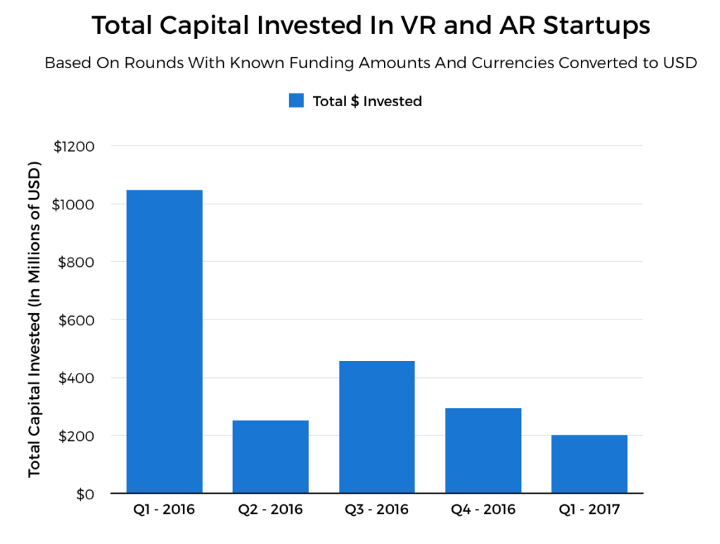 VR won’t take off.” But it’s all vanished with the fact that AR/VR startups have raised $2.5 billion since the start of January 2017, equaling the record for AR/VR investment in a single 12 month period (with 5 weeks left to go in the year). Thus, VR is so far from dead. Thank you for reading our post! Go follow our Facebook and Twitter to get more meaningful posts about VR and AR. See you in the next post!